GIS (Geographic Information System) technology is a system of hardware and software used for storage, retrieval, mapping and analysis of data at a defined geography. Data is purchased from third-party suppliers at available geographies like FSA's. In many regions FSA's encompass hundreds of thousands of square km's, making them incompatible with the areas served by community newspapers. Data can also purchased from third-party suppliers at available geographies like Dissemination Areas (DA's). The size of DA will vary depending on the location. In some cases it might represent a city block, while in a rural area it's 10,000 sq. kms. 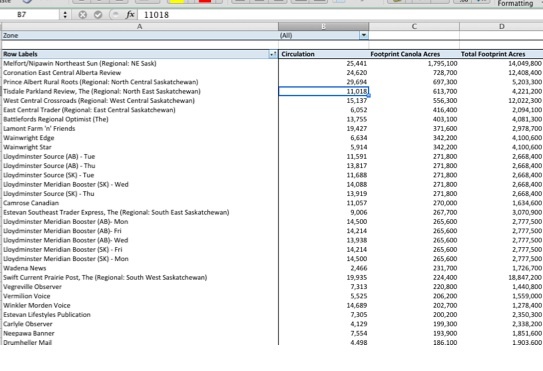 Once again, the relationship between newspaper circulation areas and DA's is non-linear. 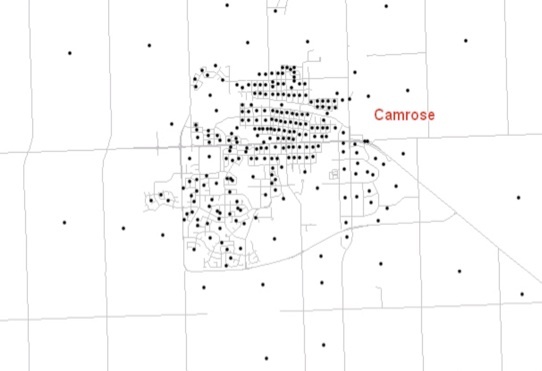 Dissemination Areas (DA's) in central Alberta. In order to create the tightest link between the data and the newspaper, the data is statistically modelled and re-distributed at a new, smaller ‘micro’ geography. Breaking down, modelling and consistently re-distributing the data is the first step in aligning it to a newspaper circulation area. 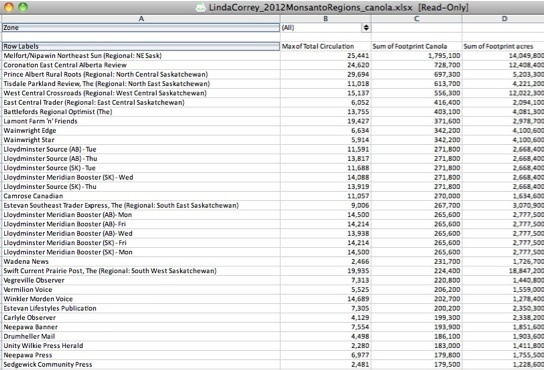 STEP 3: 'Footprints' are created so that data can be aggregated and extracted exclusively for each title. 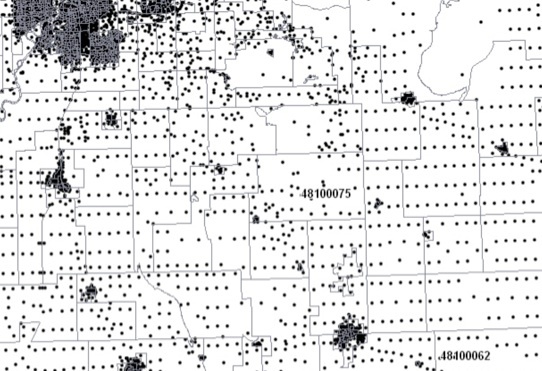 The creation of a footprint is a painstaking process that involves manually evaluating the town by town circulation figures of each newspaper to determine whether or not a publication has reasonable penetration within a community. Data is then extracted for the area within each coverage footprint and published via a number of channels including all AdWest coverage maps, data reporting and applications (including the Market Analyzer). Areas -and underlying data- in which a newspaper achieves a minimum 40% penetration are included in the footprint and are the basis for all data reporting for the publication. 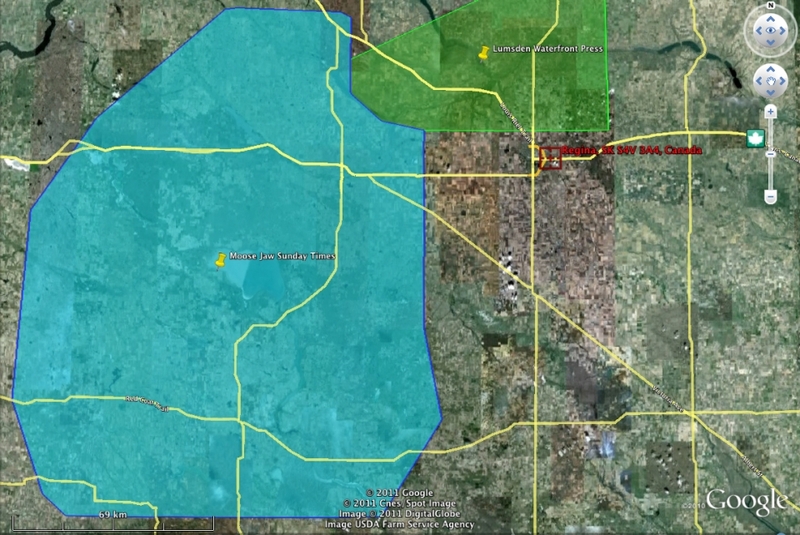 STEP 4: GIS data underpins many of AdWest's core services and is reported through various channels. The Market and Demographic Profile information included in each Detail Sheet is dynamically linked to each footprint. 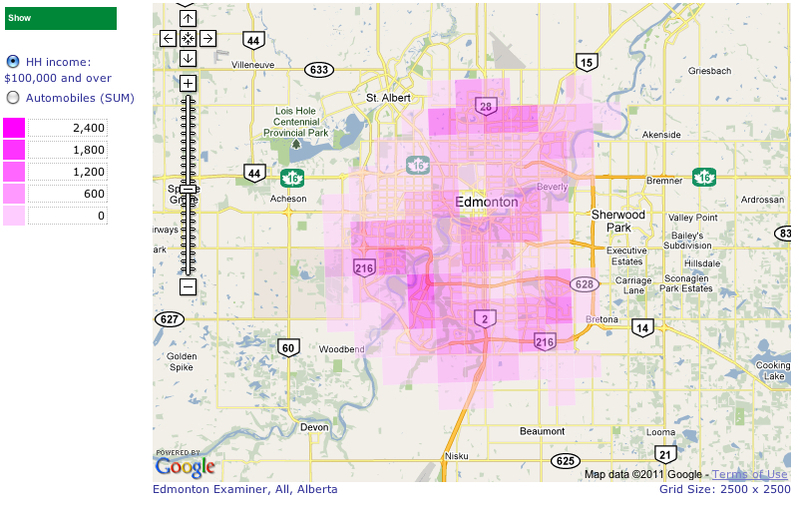 AdWest’s Interactive Mapping Tools can be used to present data in innovative ways. Heat Density maps using thermal imaging technology to identify data hotspots. Newspaper ‘footprints’ are then integrated into the application to allow users to ‘round up’ the target. 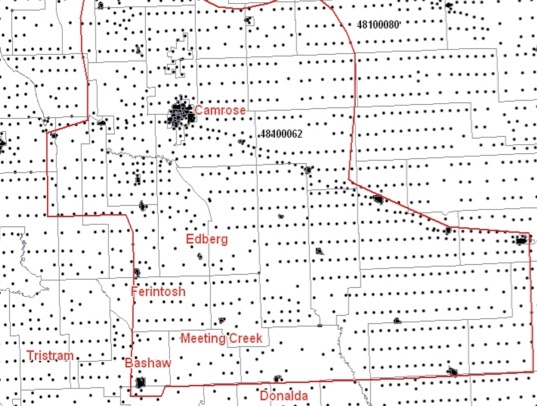 Thematic mapping of data to determine where, within a coverage area the data proliferates. 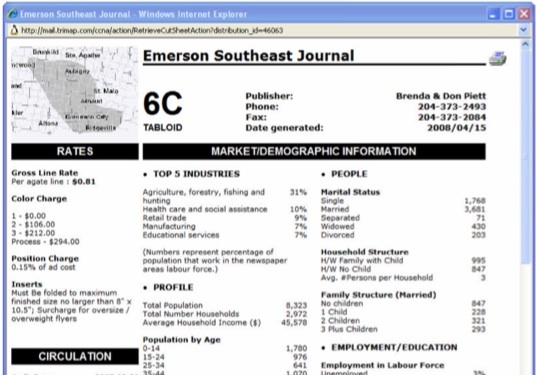 The online Market Analyzer application contains over 10,000 datasets linked to newspaper footprints. Reports such as this one can be exported and used to evaluate and compare newspapers/markets based on a consistent methodology. Specialized GIS reports incorporating information from multiple sources can be integrated into a single document for deeper analysis.